The Forrestdale Business Park (FBP) is a 330 hectare site strategically located at the intersections of Tonkin Highway and Armadale Road in Forrestdale, Western Australia. Comprising of two areas, East (190 hectares) and West (140 hectares), FBP is providing businesses with the opportunity to build, relocate or consolidate their operations into a high quality industrial environment. With a diverse array of lot sizes, FBP can accommodate a range of commercial, mixed business industrial enterprise and general industry activity. FBP (West) will also provide RAV4 compliant roads throughout the precinct to accommodate heavy haulage vehicles. FBP (East) has NBN access, allowing business to connect to high-speed broadband, saving them time and increasing productivity. 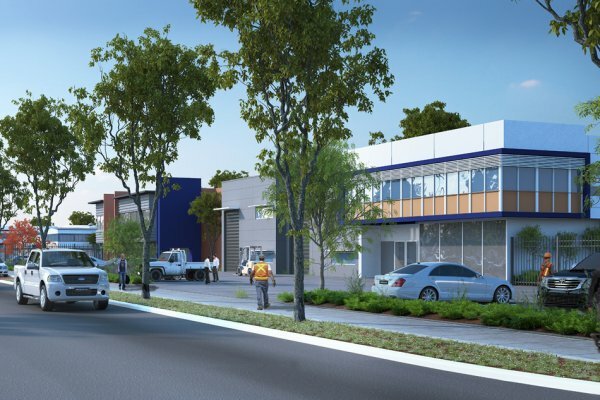 Bounded by three major arterial roads (Tonkin Highway, Armadale Road and Ranford Road), FBP is providing an ideal base for businesses looking for easy access to the airports, ports and other major road transport routes. Recent development applications include plans for showrooms, workshops, offices, transport depots, storage yards, self-storage facilities, a petrol station and fast food outlets. In the last five years there has been in excess of $246.5 million worth of private investment committed in FBP, through a range of development applications and $215 million worth in land sales. The South Forrestdale (Rowley Road) Industrial Precinct is anticipated to generate employment, business activity and revenue for the local community. This Precinct has been identified as a key industrial expansion zone in the southern metropolitan area. Advantages include proximity to freight network connections linking with the new Outer Harbour, Western Trade Coast and Kewdale intermodal transfer facilities. The proposed industrial area will accommodate non-heavy industrial businesses and other complementary uses. Lots at the Precinct will be available for development in the next two to three years. The development of this area is expected to provide employment for the additional 120,000 people that will ultimately reside in the growth areas of Mundijong, Byford, Haynes, Hilbert, Harrisdale and Piara Waters. Located within Forrestdale Business Park (West), Crossroads Industrial is a strategic commercial and industrial component of our rapidly growing City. Crossroads Industrial is LandCorp's latest metropolitan industrial estate, and their first to be delivered in the South East corridor under the State Government's Economic and Employment Lands Strategy. Comprising 41 hectares, Crossroads Industrial is providing businesses with the opportunity to relocate or consolidate their operations into this high quality industrial environment. Centrally located to major freight routes including Tonkin Highway, Kwinana Freeway, and the Albany and South West Highways, Crossroads Industrial also provides easy access to surrounding major industrial areas, the Perth Airports and the Fremantle and Kwinana Ports. The area is a prime location for businesses requiring access and providing service to the Great Southern, South Eastern and South Western regions of Western Australia. This is a mixed use industrial area with service industries. There are a number of large sites that are ripe for redevelopment and would provide for a substantial mixed use industrial/showroom/warehouse complex or subdivision into smaller industrial lots. Kelmscott Industrial Area is an established major industrial area that links to retail and commercial opportunities. The South Armadale Industrial Area commenced development in the early 1970’s. A large amount of infill development and redevelopment of existing sites has occurred recently, which has revitalised the area through the construction of new attractive modern industrial buildings, upgrades of existing buildings and enhanced landscaping. The area has strategic transport linkages, adjacent to South Western Highway with easy access to the Albany and Tonkin Highways and Armadale railway line. The South Armadale Industrial Area is a long-term strategic land bank with potential for future uses with access to a ready made workforce. Click here or here to see what land is currently available on the market. If you want to know more about industrial areas in the City of Armadale or discuss a potential project, contact the City's Manager of Economic Development on 9394 5000.